I just returned (July 2014) from an extended kayak trip (12 days) from Valdez to Whittier on Prince William Sound with Ryan Collins of Paddlers Realm. It truly was extraordinary. Calving glaciers and magnificent rock formations were all within our view. From whales to bears, from sea lions to otters, from puffins to seals the wildlife was beyond compare. Ryan is an expert in back country camping which guaranteed that we found high quality campsites with spectacular views and fresh and safe drinking water. Ryan’s deep knowledge of and respect for the Sound provide a rare and unique perspective. His higl-level kayaking skills, capable leadership and sense of humor insured that our group had a truly memorable and safe experience. I came back enriched and inspired to return. Ryan will be my first and only call. 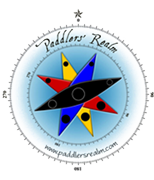 From a one day journey to an extended trip I can heartily recommend Paddlers Realm. You won’t be disappointed! This entry was posted on February 7, 2016 by ryan.